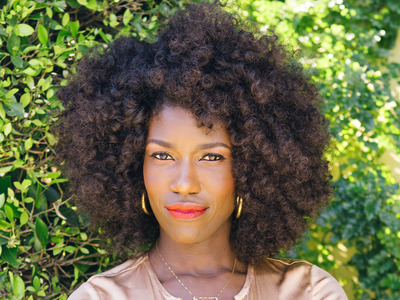 Bozoma Saint JohnBozoma Saint John. Speaking at South by Southwest, Uber brand chief Bozoma Saint John said her affinity with the company developed almost like a romance. She said she wanted to take on the challenge of turning the dented brand around because she wanted to be part of the solution on issues of women’s empowerment and diversity. She revealed she’s been driving for Uber Pool herself to better understand the perspectives of both drivers and consumers. After the year that Uber had in 2017 – with the Fowler uproar, the Waymo lawsuit, and former CEO Travis Kalanick’s unceremonious departure– anyone would have thought twice about taking up the job of turning the dented brand around. Not Bozoma Saint John. Speaking at South by Southwest, in Austin, Texas, the former Apple Music exec said that her affinity with the company developed almost like a romance. The fact that Uber was perhaps at its lowest point made her want to take on the challenge, she said. Plus, she wanted to be a part of the solution as far as issues of women’s empowerment and diversity are concerned. A big way that Saint John has been trying to turn the brand around is by honing in on the human connection and communicating it effectively. Uber’s car rides, for instance, enable thousands of interactions daily, and the brand wants to share those stories. It also wants to humanize how it is approaching innovation, such as how its products are changing cities and people’s lives. It has also made its drivers an increasing priority, such as with the 180 Days of Change initiative. In fact, to get a finger on the pulse of consumers and drivers, she made the revelation that she’s been driving for Uber Pool herself. Almost a year since Uber’s very public meltdown, things are in a better place as far as the morale of the company is concerned, said Saint John.